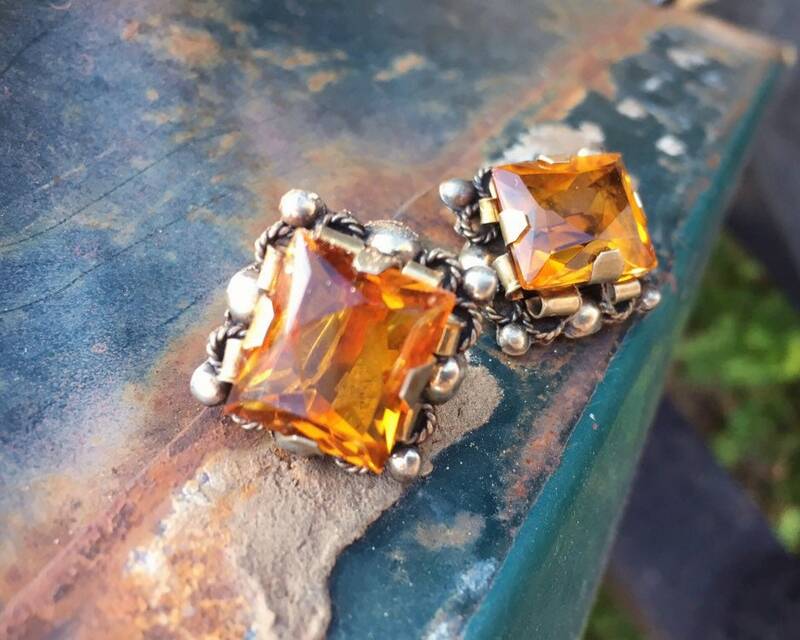 These vintage screw back earrings hail from the 1930s to 1950s, when many women did not have pierced ears. 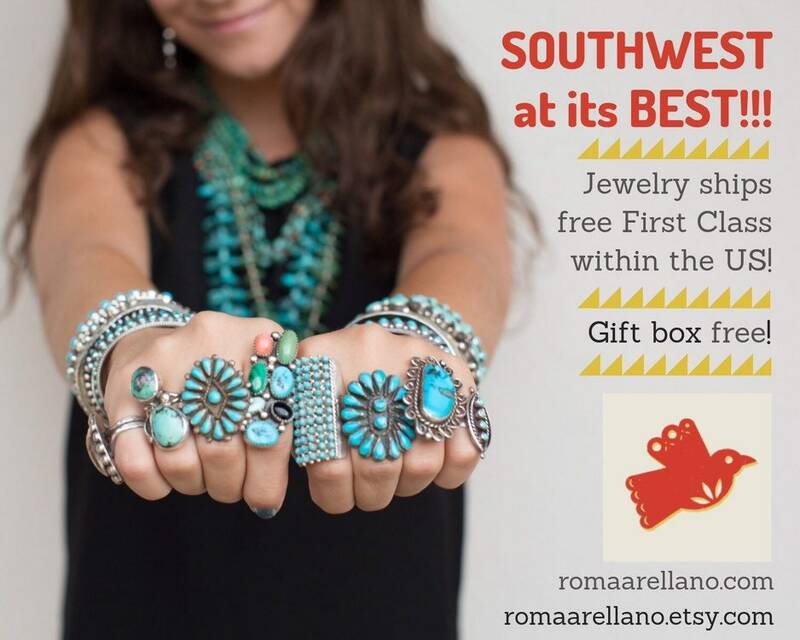 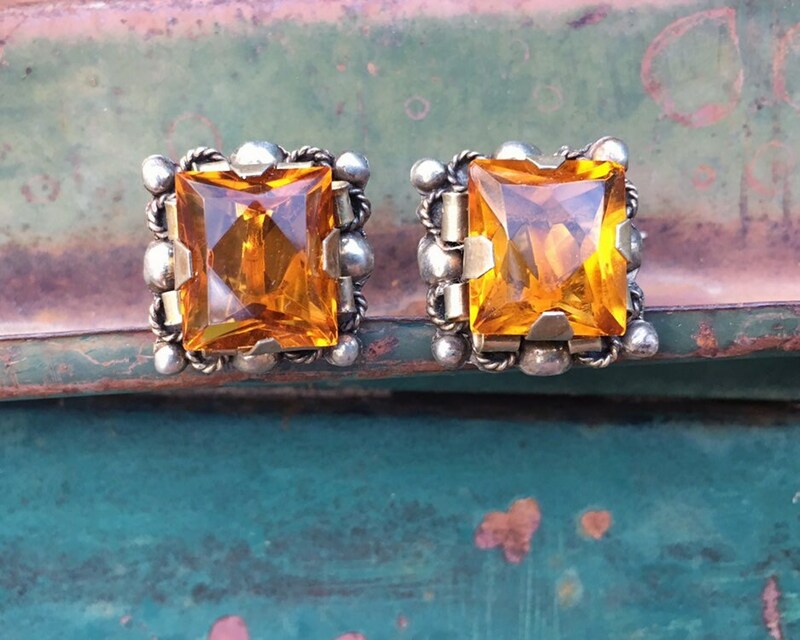 They are sterling silver from Mexico, and they were a high-end costume jewelry earring that might have been found in the iconic Mexican department store Sanborns. 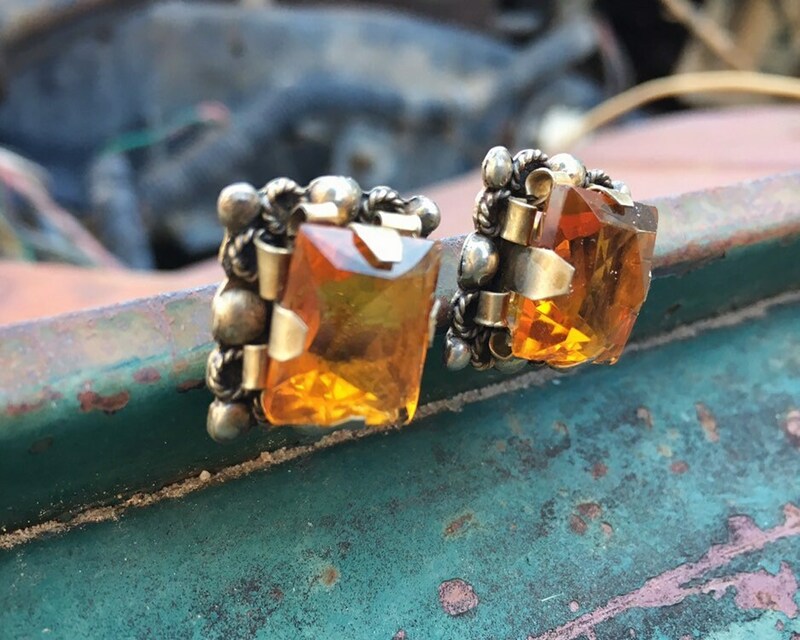 They have an orange-amber-topaz glass rhinestone, that is the color of orange citrine. 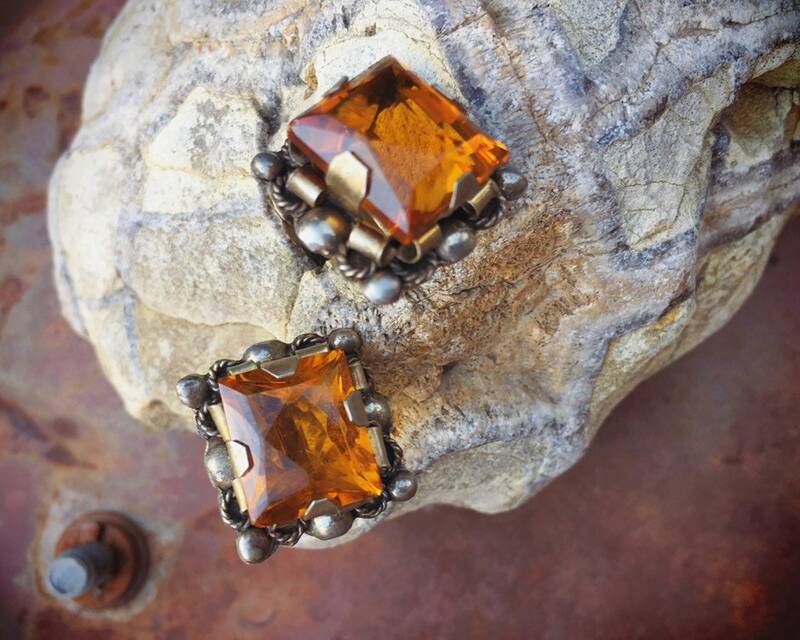 It is set in a 925 sterling silver foundation, and the earrings are truly stunning. 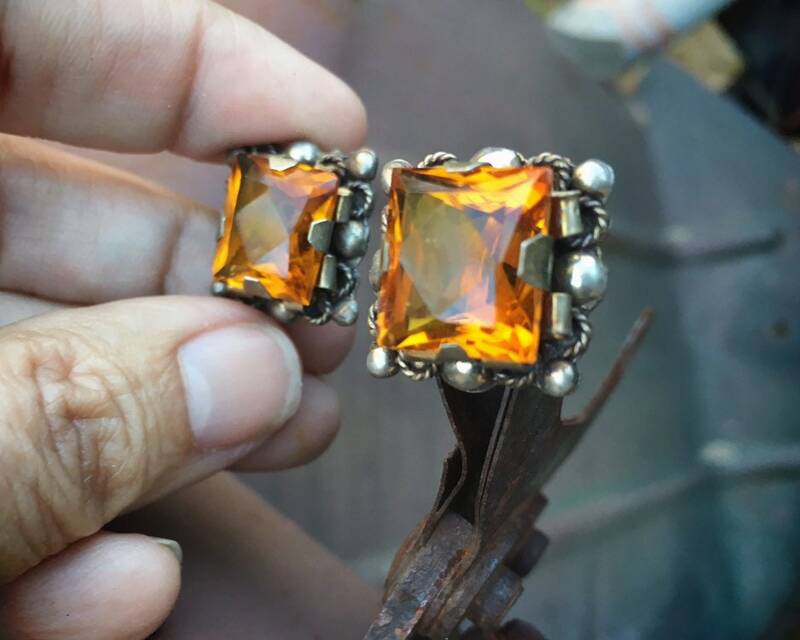 Would be gorgeous as a wedding earring for a topaz or golden colored dress. 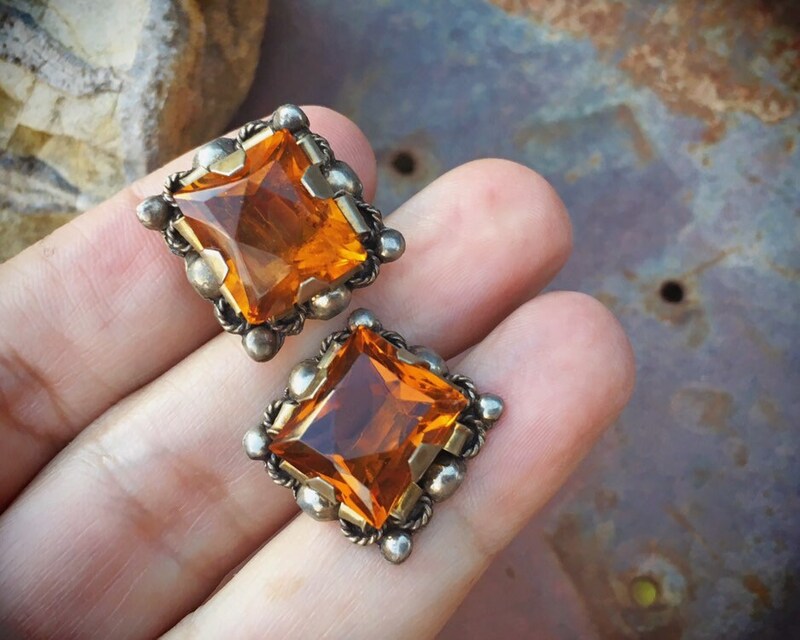 Given that these are sterling silver, I can have these converted to posts for an additional $35. 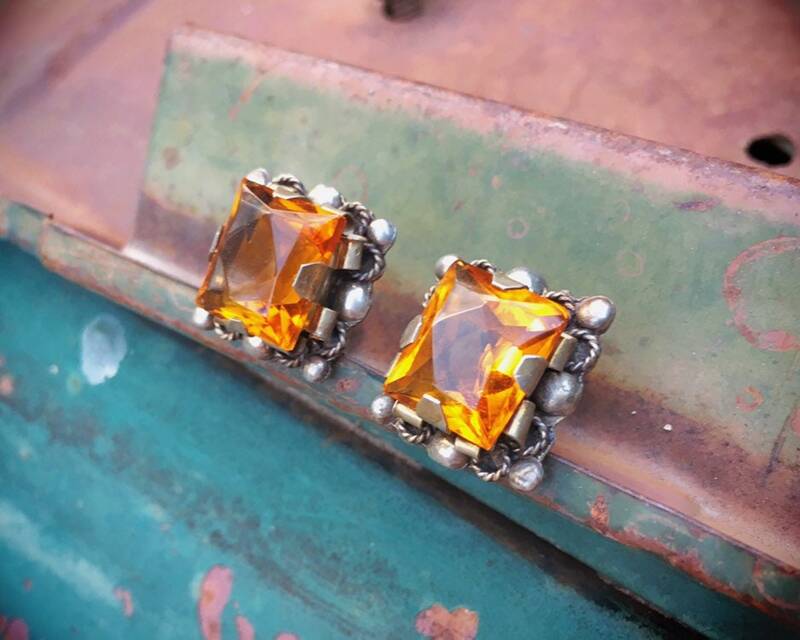 But I love them in their original format. 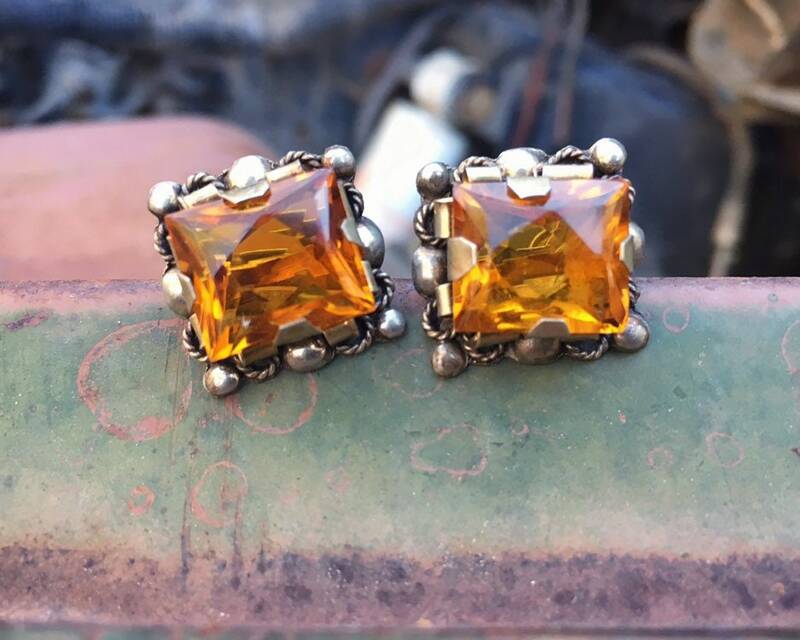 The earrings measure about 3/4" square (although ever so slightly longer on the vertical) and the rhinestone is about 1/2" by 1/2". 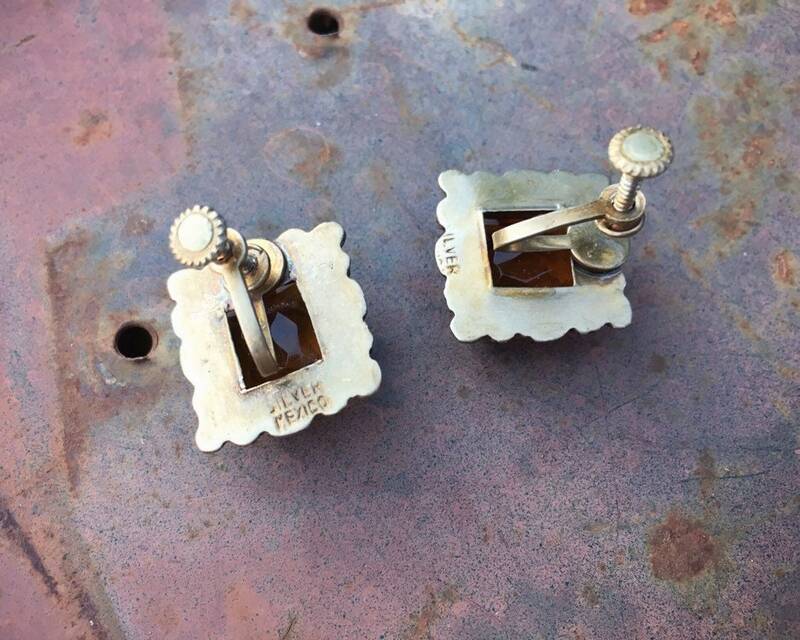 Sterling silver stamp on the back, as well as the Mexico mark.